Fighting cybercrime is not easy. We’re constantly pitted against other skilled hackers. We solve problems unconventionally, move fast, and create ‘tau’ for each other to constantly evolve and stay one step ahead. There are challenging problems and organized cybercriminals to fight, but the way we see it - life is too short to do stupid s**t for money ;). If our mission appeals to you, we should talk. At White Ops we strive for a culture of robust happiness – something the ancient Greeks used to call Ataraxy. It’s a philosophy of total dedication to your task, and an understanding that challenges can be a source of deep happiness. It is also a way of building harmonious relations with people and the avoidance of conflict where possible. It’s the reason our foosball table just sits there and gathers dust. It drives a real love of what we do. We like our work. We like each other. Our six values have helped build our company from the very start. Innovate without regard to convention. Tinker to learn how things really work. Share what you've learned. Empower others. Be a toolmaker and a bridge-builder. Find the levers for disproportionate impact. Move fast at step zero. Unblock yourself. Move forward in the face of imperfect information and uncertainty. Whether you win or lose - be humble and play the next game. Be self-aware. Listen first to understand. Deliver the results you promised. Demand excellence from yourself. This isn't a typo. When you can, tip the balance of the world in favor of good. Use power responsibly. 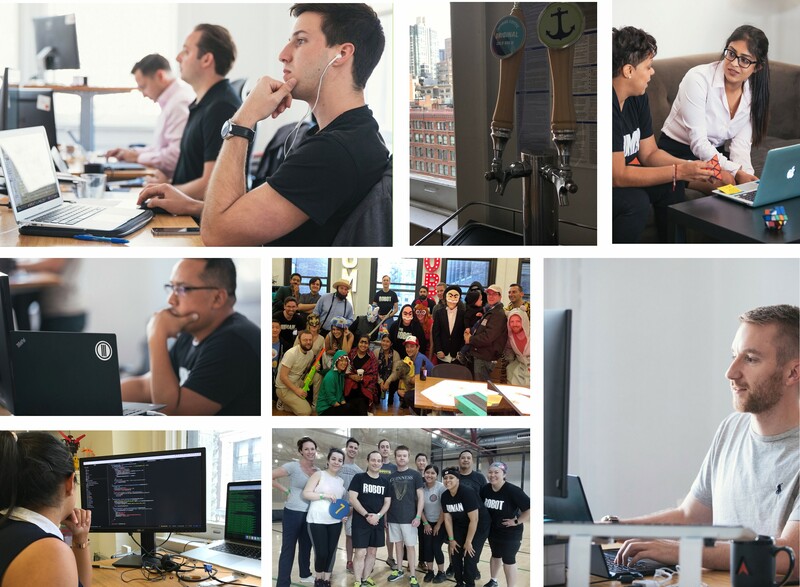 "White Ops to me is not just a company, but an institution which identifies something larger than transactions, to provide purpose and meaning in life. I have the freedom to do my job without being micro-managed which gives me independence, flexibility, motivation, and satisfaction." "We have an active and sophisticated adversary that always keeps us on our toes and our applications have to handle millions of queries per second. This is a unique problem domain that requires a distinctive set of tools to solve. I really enjoy the challenge and reward that this job offers." "Having the ability to work with a group of like-minded individuals to positively impact the internet, a service that millions of people use each day, is an incredibly rewarding experience. That mission and drive that I see from others here allows me to get up enthusiastically each morning knowing that I can make a bigger impact alongside them." We offer unlimited time off. As a White Ops employee, you can take the time you need, whenever you need it. Enjoy. Everybody at White Ops receives an annual stipend towards personal development of their choice. We provide generous full health coverage for our people and their families. To us, nothing is more important. We encourage a meeting-light culture, discourage crazy hours, and cater weekly breakfasts, lunches and game nights.